glass paint. I used Vitrea 160 glass paint markers. First, I cleaned the outsides of these glasses with cotton dipped in rubbing alcohol. I let that dry while I shook the paint pens. Remember, you will need to shake the pens and press the tips onto paper to get the paint flowing. 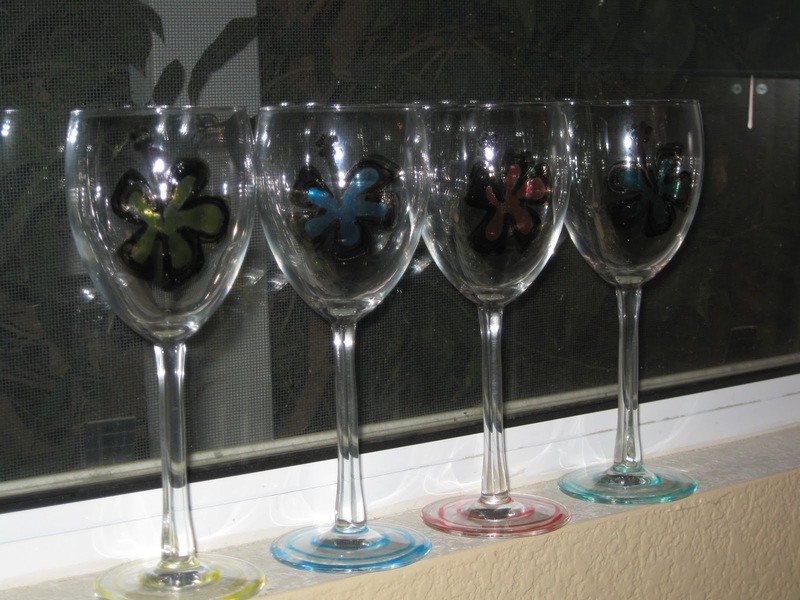 I used an image from the internet of hibiscus flowers and freehand drew the images onto the wineglasses using the black paint pen. After letting that dry (as soon as I had all of the flowers drawn, the first glass was dry enough to proceed) I colored in the flowers. I used a different color for each flower, you can do this any way you want, of course. 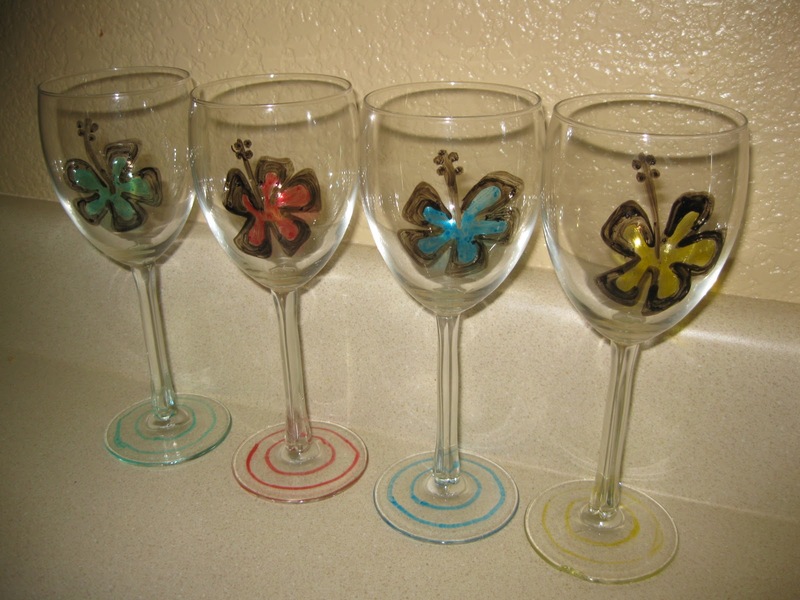 I then painted two circles on the bottom of the stem of each glass, in coordinating colors. Next time I paint glass, I might skip this step. With the Vitrea paints, let the paint dry for 24 hours. Bake in a 325F oven for 40 minutes to set the paint. Remove the glasses from the oven after they have cooled completely. This sets the paint and makes it dishwasher safe. This paint is more transparent than I had expected but it is nice, like stained glass. Alternatively, you can do the same to ceramic, using ceramic paint by the same company.